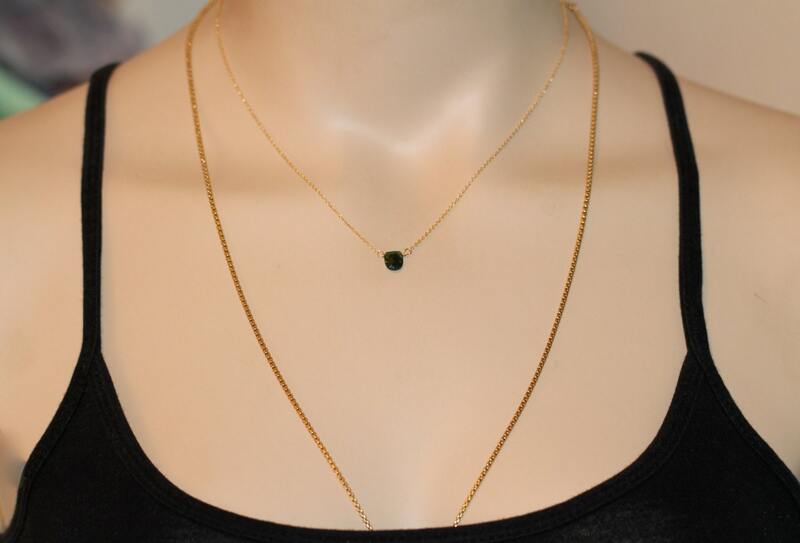 A stunning, one of a kind, faceted tourmaline drop is wire wrapped onto a 14k gold vermeil or sterling silver chain at the length of your choice. 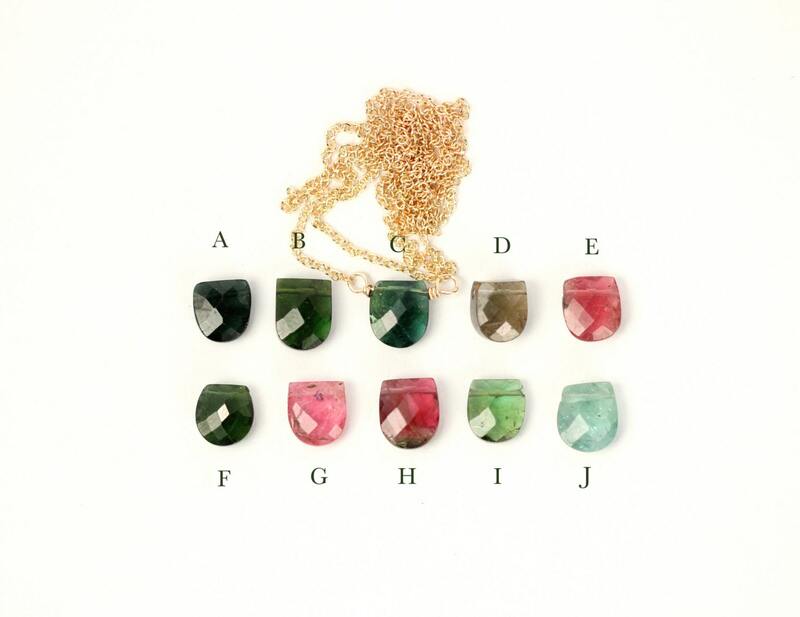 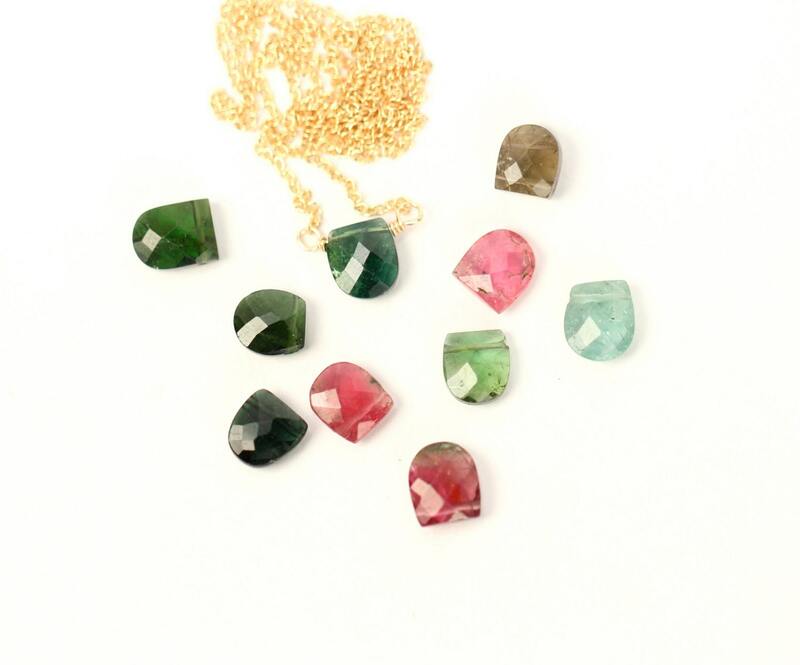 Please choose your favorite tourmaline as shown in the last photo.... 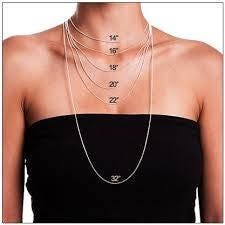 Please feel free to request sterling silver chain. 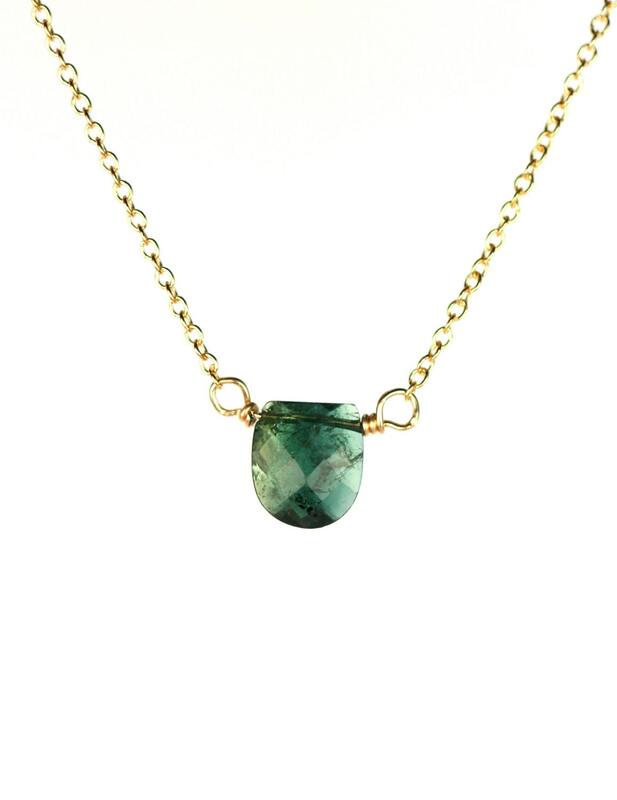 Green Tourmaline, also known as Verdelite, is perhaps Nature's best healing crystal of the physical heart, channeling its electrical energies into the center of one's being and creating a flow of wholesome energy to all parts of the body and self. 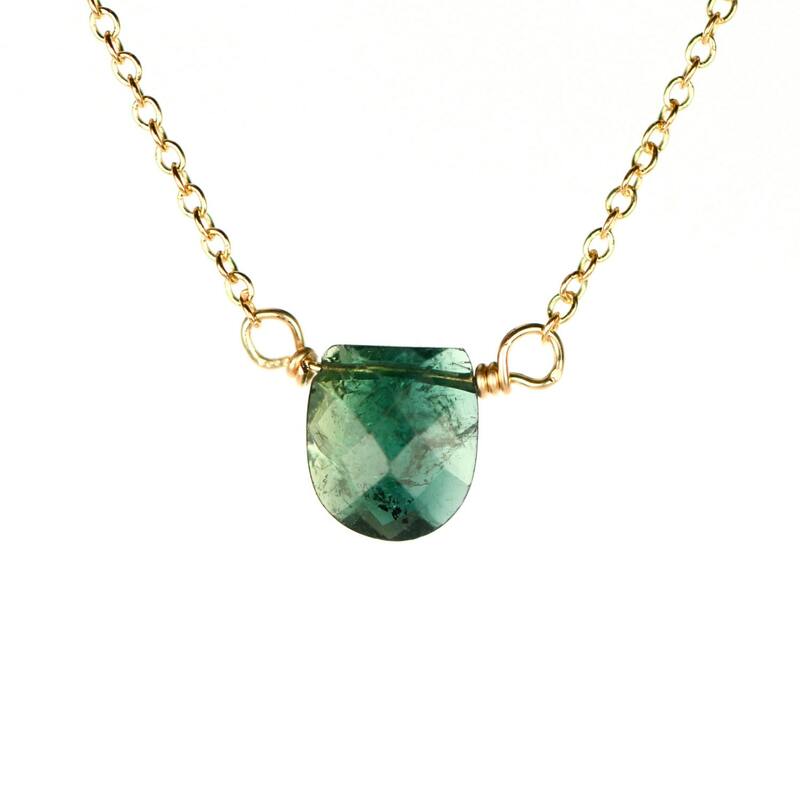 As a stone of energy and stamina, Green Tourmaline is excellent for sports persons and athletes, and anyone in occupations where rigorous activity is required.